Access to Amazon Prime Music. Similar to Apple Music, Prime Music offers members unlimited, ad-free streaming of millions of songs. Access to Amazon Prime Video . Similar to services like Netflix, Prime Video offers instant streaming of selected movies and TV shows. Access to Amazon Prime Photos. Secure unlimited photo storage and enhanced search and organization features in Amazon Drive. Access to Kindle Owners’ Lending Library. Members can borrow books from the Kindle Owners’ Lending Library and read them on their Kindle e-reader, Fire tablet, or Fire phone. 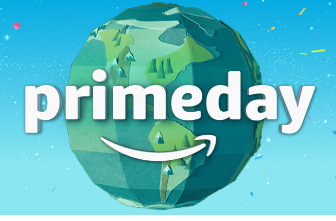 Obviously the Prime Membership also gets you access to Prime Day. The Amazon Prime Member costs $99 / yr or $ 10.99 / month. Amazon does offer a 30 day free trial to Amazon Prime that will give you access to all the benefits and give you access to Prime Day. So if you want to take advantage of Prime Day without actually having to pay for the Prime Membership here is what you need to do. Once you complete your enrollment, you will have all of the Prime Membership benefits for 30 days. You wont be charged for your free trial, however, if you don’t cancel your membership, you will get automatically billed and moved to paid membership status at the end of the free trial. You are responsible for CANCELLING the trial membership. Go to Manage Prime Membership . To cancel an Amazon Prime free trial, click Do not continue. On the Manage Prime Membership page, on the left-hand side, you will find the date your trial membership will change to a paid membership. Keep this date in mind if you don’t want to pay for membership.